Internet usage is no longer limited to a young, tech-savvy subset of the population. As elderly people use the Internet in increasing numbers, the con artists who prey of them adapt their tactics accordingly. 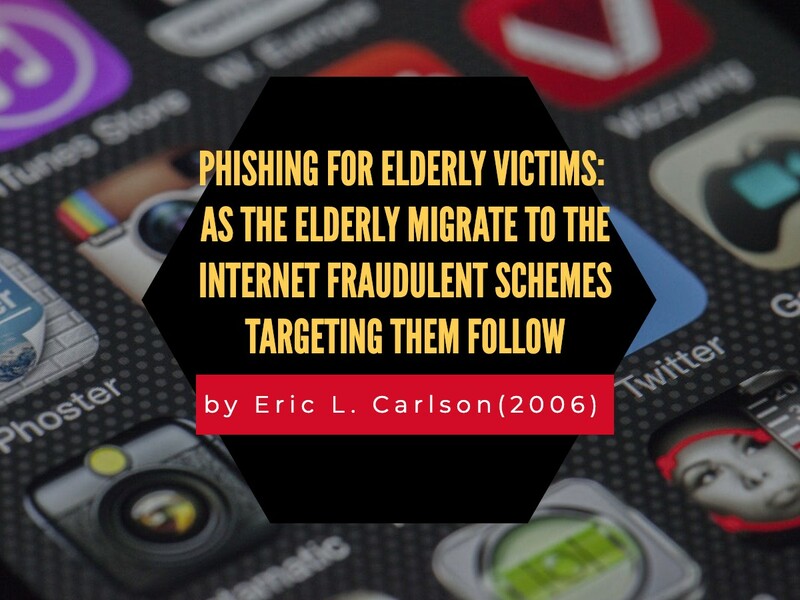 In this note, Eric Carlson explains why the elderly are especially susceptible to Internet fraud. He describes three fraudulent schemes regularly perpetrated against the elderly and the devastating effects they have on older Americans. While relevant legislation, prosecution of offenders, and education of the elderly all help to alleviate the occurrence of fraud, the problem persists. Mr. Carlson concludes that legislation and enforcement measures are helpful but insufficient to address the problem, and that society—including neighbors, family, and especially young, tech-savvy friends—has an obligation to help elderly people avoid falling victim to fraudulent Internet schemes. Eric L. Carlson is Notes Editor 2006–2007, Member 2005–2006, The Elder Law Journal; J.D. 2007, University of Illinois, Urbana-Champaign; B.S. 2004, University of Illinois, Urbana-Champaign, College of Engineering. The author would like to thank his parents, Stephen and Joanne Carlson, for their continued support and encouragement. Go Illini!